Welcome to the world of dairy technology advancement. 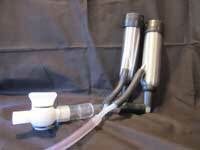 The CoPulsation™ Milking System is not just for cows. 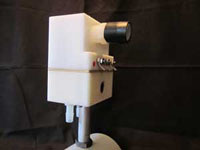 The product was originally developed for dairy cows but it was soon recognized that the same milking performance problems experienced by cows are an issue with other milking animals. Goats were the next animal type introduced to this innovative product with significant results. 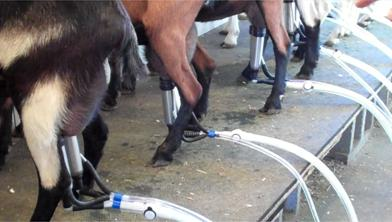 Individuals milking goats routinely stated that goats naturally run a high SCC, especially near the end of their lactations. We have proven that to be false and that goats can produce quality milk with low SCC throughout their lactation. One customer commented "the goats milk out very well, no longer have to pull down on the cluster to milk them out, the milk out flat (empty)", after converting to a CoPulsation™ Milking System. The goat herd was in the last few weeks of a seasonal lactation at the time of the installation with an SCC just at 750,000 after removing a few goats. Within two weeks of installation the SCC had dropped by about 50%. Read more about how CoPulsationtm makes a difference in milking goats in an article featured in Dairy Goat Journal. 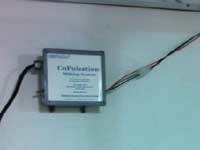 The system consists of pulsators, electronic controller and clusters. Each pulsator will operate two goat clusters. There are two electronic controllers available, a small version capable of operating up to two pulsators and a large version that will operate up to 12 pulsators. The large controller has an integral backup circuit. The product is easily installed and maintained in any facility. Conventional milking machines cause iner crawl and canal damage resulting in mastitis and poor milking performance, understand why. Discover that this is a known problem.